In August, 2013, a Miami Beach police officer caught Israel Hernandez-Llach spray-painting a shuttered McDonald’s on North Beach. 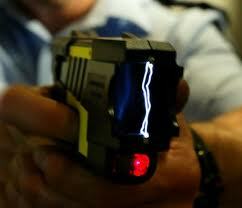 After a brief foot chase, Miami Beach Officer Jorge Mercado shot Herandez-Llach with his department-issued Taser. The teen later died at Mount Sinai Medical Center. After a six-month-long medical examination, medical examiners stated Hernandez-Llach died of heart failure from the “energy device discharge.” This finding is unusual because the device has never been cited in an official cause of a death report in Florida. 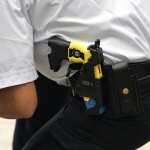 Instead, most of the local Taser-related deaths have been ruled as cases of “excited delirium,” a rare brain malfunction often caused by cocaine or mental illness that said to transform victims into violent, feverish attackers. Medical investigators conducted extensive toxicology exams and tests at the University of Miami’s Brain Bank to explore whether Hernandez-Llach had experienced excited delirium. The teen’s body temperature was over 102 degrees more than an hour after he was pronounced dead, which can be a sign of delirium. However, Hernandez-Llach was not enraged during the brief foot pursuit with police and his toxicology report did not find any drugs other than marijuana. Taser has previously suggested officers avoid shooting suspects in the chest because of the risk of cardiac arrest in some people. Further, in 2012, a small study in an American Heart Association publication found that the weapon can cause heart failure in some healthy people. Unfortunately for Hernandez-Llach, this suggestion was not heeded. Additionally, since February 5th, three more Miami-Dade men have died after being tasered by police.